Over the past five years, Mason Jar Music's Brooklyn headquarters has been a home - both literally and figuratively - to an incredible community of multi-talented and endlessly creative people. Our basement studio has captured countless powerful performances and loopy late nights. The dining room table has hosted many a family dinner and the backyard many an afternoon barbecue. All-in-all it has been a great adventure. This year as MJM co-founder Dan Knobler and his wife Carrie Crowell start a new chapter together in Nashville, TN, we thought it fitting that our Decoration Day compilation feature songs about home: finding it, leaving it, loving it, hating it, missing it, and returning to it. This album is dedicated to everyone who has made the wonderful "MJM house" on Dahill Road into a home by filling it with warmth, passion, and above all, music. 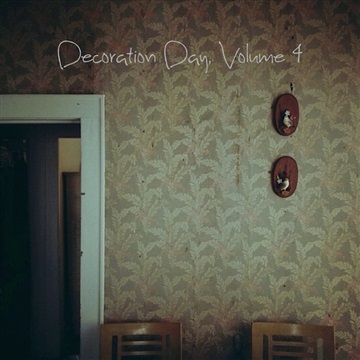 The Decoration Day series began on a whim three years ago after a last minute studio cancellation inspired MJM co-founders Dan Knobler & Jon Seale to record an EP of some their favorite songs. In what has become a celebrated Mason Jar Music tradition, the collective unites old friends and collaborators and gives us the opportunity to reach out to some of our favorite artists each spring to record a group of themed cover songs to be recorded or released around Memorial Day. Carrie, Katrina, Big Thief, Cassandra Jenkins, Ember Isles, Flearoy, Rosanne Cash, Taylor Ashton, Cory Chisel, Adriel Danae, Bob Dylan, Van Morrison, John Martyn, Guy Clark, Björk, Sam Cooke, Seamless, The Refuge, Millie, Bailey, Seatree MD & SP, Girlfriend, and all residents, guests, and visitors of the MJM House. A big thank you to Jacob, Jason, Jake, Jas, Eric, Michael, Max, Sam, Noah, Eli, Alec, Zack, David, Adrianne, Buck, Cassandra, Hannah, Megan, Tamsin, Taylor, Cory, and Adriel for lending your time and talents.